“Paradise” Gray was raised by Legendary DJs in the South Bronx and HighBridge. He was the Producer of the X Clan, whose 1990 album, To the East, Blackwards, was a conscious Hip-Hop classic. Prior to that, he was host and manager of entertainment for the legendary Manhattan nightclub the Latin Quarter. 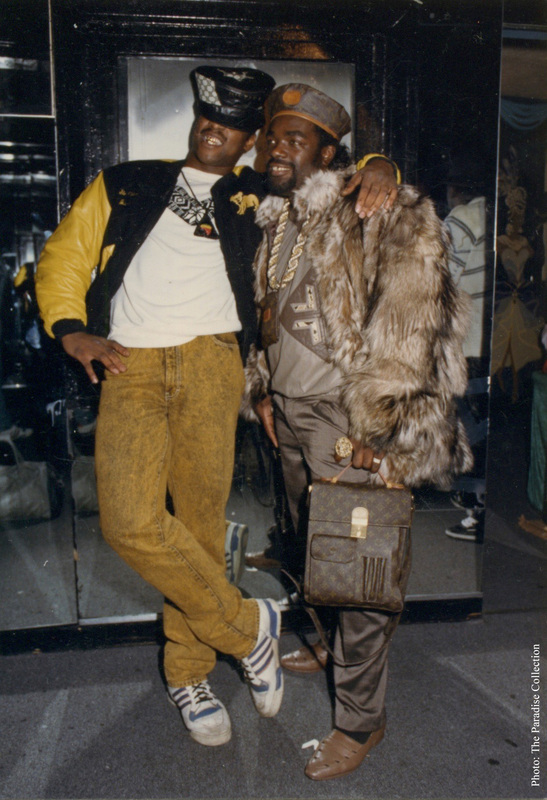 Paradise was a key figure in transforming the landmark club into an historical Hip-Hop venue that became the most important incubator of talent during the Golden Era of Hip-Hop. Daddy-O from Stetsasonic proclaims, “The Latin Quarter was the Studio 54 of Hip-Hop.” “You got accolades for rockin’ the Latin Quarter stage. And for Paradise to even know your name, was a huge deal,” remembers MC Lyte. The Latin Quarter’s place in the pantheon of Hip-Hop culture and legendary New York City niteclubs is firmly cemented. It will be well remembered in music, film, radio, and an occasional stroll past 48th & Broadway. We're honored to work with the legendary Paradise Gray and his Paradise Collection to bring you a one-of-kind t-shirt collecction.